It’s the middle of the week, and that means it’s time for a random collection of vaguely-related things that are awesomely strung together for your reading pleasure! First of all, via Queens of Vintage, how to create a 1920s/Art Deco-inspired bathroom! Creating a glam space in your bathroom is simple with chrome, glass and fancy mirrors! The Art-Deco look can easily be glam and feminine, but is also incredibly versatile/gender neutral. By adding more chrome and angular accent pieces, any Deco-style room can be an elegant space with straight, clean lines and unique accessories. Their inspiration photo. Looks fabulous! The green is calming, but not boring, and contrasts with the black and white beautifully! LOVE this! What a great re-do! The shower is the central focus! Click to see more pictures of the transformation. This is SUPER glam and fabulous!!! Even if you can’t go “all out,” by changing a few key pieces (adding certain mirrors, changing hardware, or lighting) you can brighten up your space and create a great, unique look to enjoy every day! Second up, we’ll stick to interiors, but go a little spookier. Apparently, the world’s most well-known macabre family, The Addams’ did not reside in the dark and creepy spaces the tv audiences saw, but a pink, yellow, and green technicolor dreamspace. 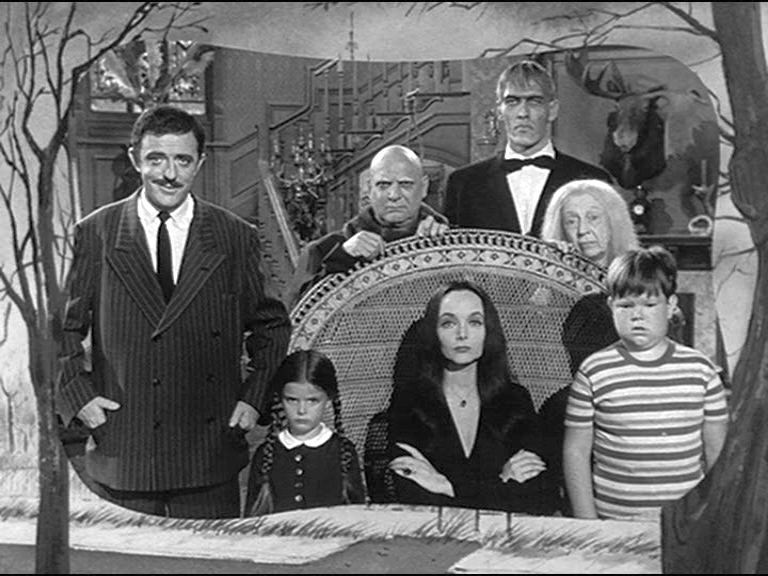 Photographed by Richard Fish, the set of tv’s Addams Family was fairly bright and pretty perky. The colorized photograph reveals a completely different reality than the one created by the black and white vision of their “creepy” home. Although, to be fair, this room is still full of taxidermy, horned chairs, elephant feet, a hookah (very exotic in the 60s, I’m sure), a hangman’s noose, and a cauldron in the fireplace. (Not that I wouldn’t re-create this room and totally live in it, but the yellow draperies are particularly non-Addams-esque.) This version, arguably, offers the viewer a more detailed look at the room (which I appreciate), but stands as an excellent example of how perceptions can differ from reality, especially when it comes to television, and also “creepy” people. 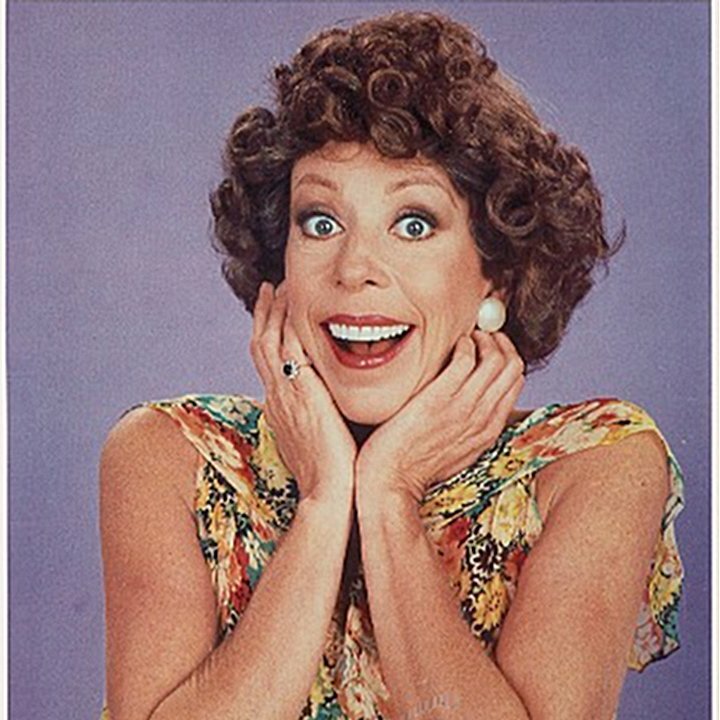 Speaking of creepy people (I kid), last, but certainly not least, is the hilarious, witty, and incredibly talented Carol Burnett! I was pleased to enjoy her interview on NPR‘s Fresh Air this morning, and will definitely be watching this Sunday when PBS airs the award ceremony from October, when she was awarded the Mark Twain Prize for American Humor! A wonderfully animated lady! Love the hat, and will recreate this picture eventually! 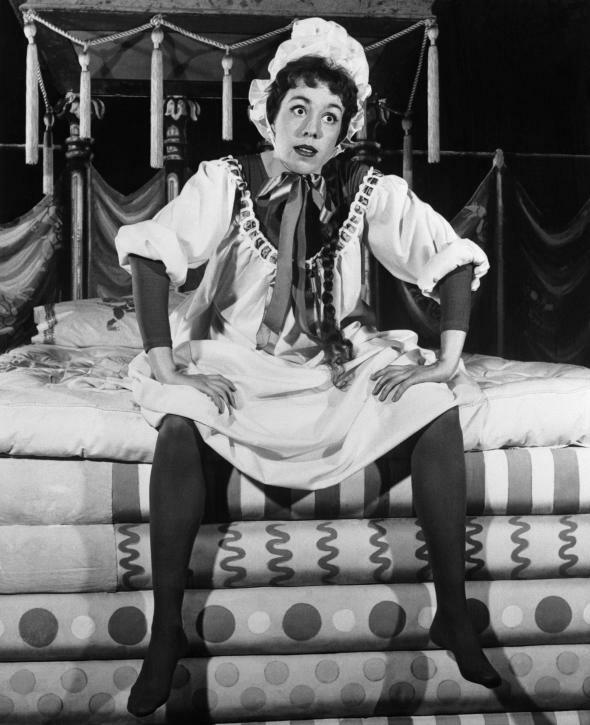 Her performance in 1959 on Broadway in Once Upon a Mattress put her on the map, and was re-imagined three times for tv! 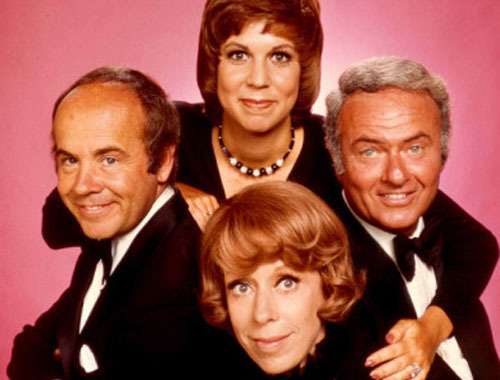 The Carol Burnett Show ran from 1967-1978, and debuted hilarious sketches, characters, and costumes! 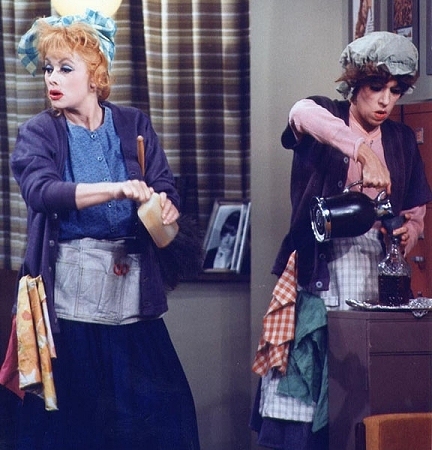 Mama’s Family became a spin-off show starring Vicki Lawrence as “Mama,” and Carol as the ridiculously high-strung Eunice. 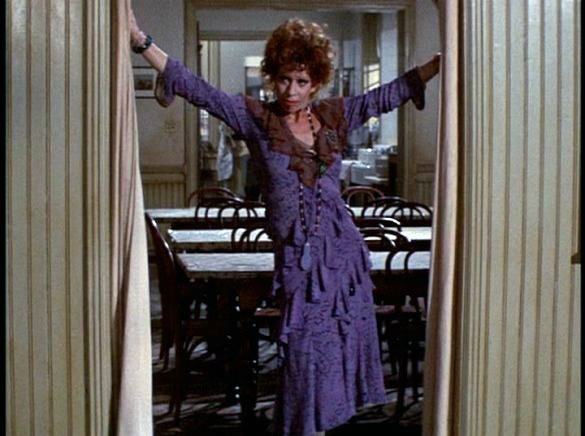 In the 1982 film version of Annie, she embodied everyone’s favorite little girl-hating, bathtub gin swigging, orphanage mistress, Miss Hannigan! 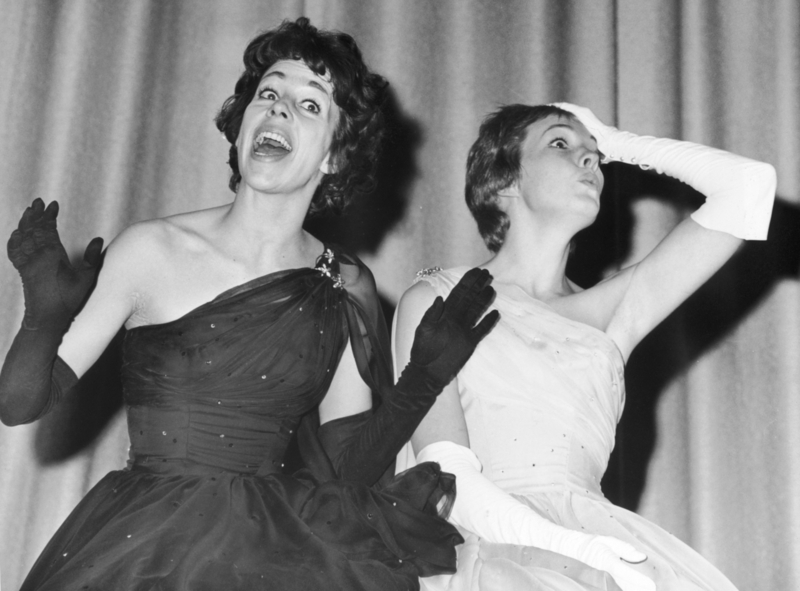 The incomparable Carol Burnett has been consistently hysterical for more than 50 years! She is a talented writer, actress and singer (among many other things), and has been fortunate enough to work with some amazing people over the years! 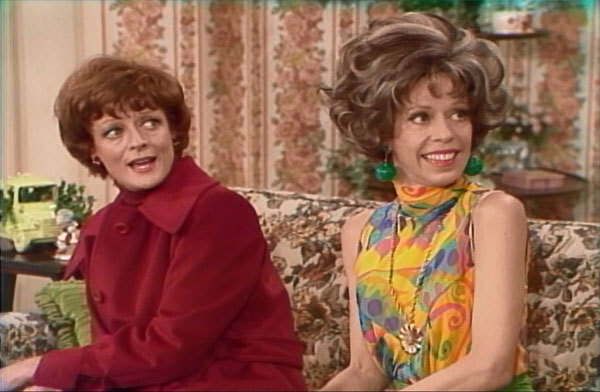 Lucille Ball was/is one of Carol Burnett’s mentors, and these two redheads supported each other professionally and personally for years. The Carol Burnett Show’s list of guests is endless, and includes so many incredible people it’s ridiculous. 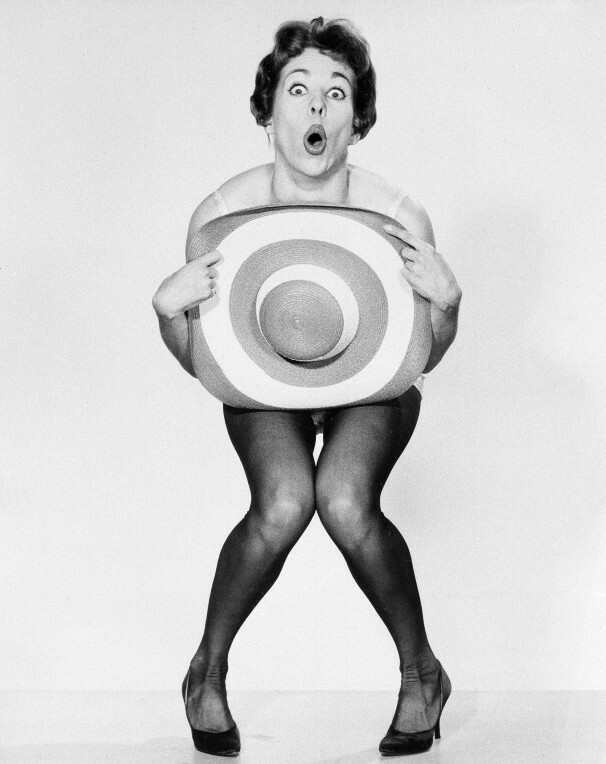 The point is, this woman has made an amazing impact on television, comedy, and American pop culture. She is a fabulous lady, and still going strong! Let’s not forget her famous Tarzan call! Also, the costumes she wore for the “Q&A” part of the show were FABULOUS! 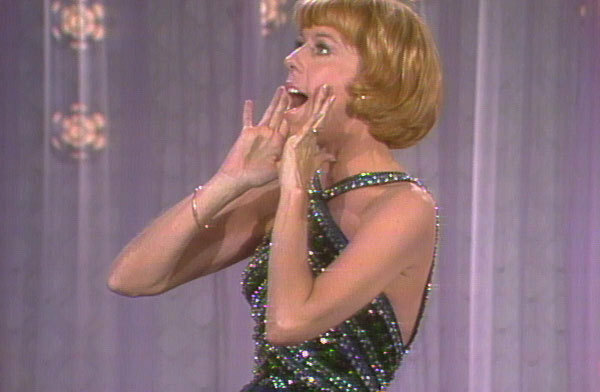 Do you have a favorite Carol Burnett moment/sketch/gown/character?? What do you think about the Addams Family’s colorful living arrangements? (Betrayed? Excited? Super jealous?? Obvs, I’m on an emotional roller coaster about it.) Are you thinking of re-doing a bathroom to look Deco fabulous?? What pieces would you use? 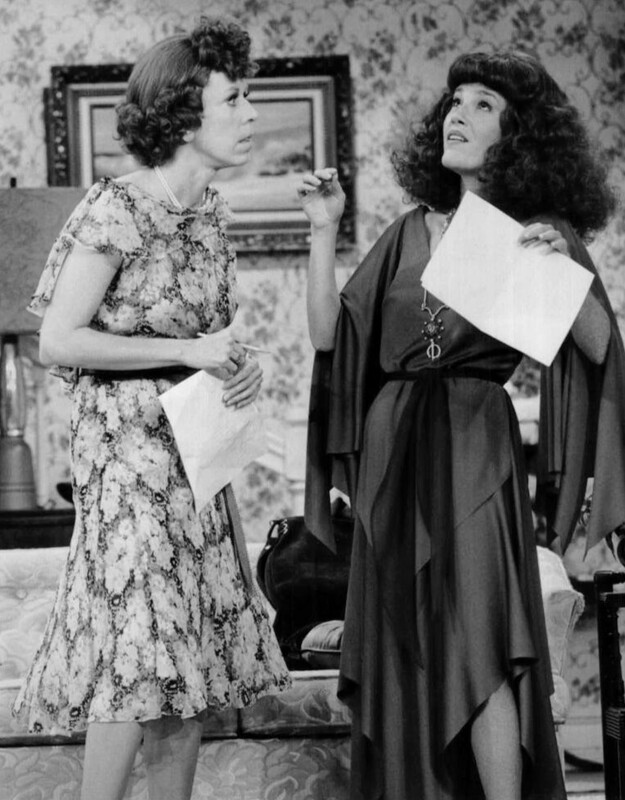 Previous Post Style Icon – Madeline Kahn! Next Post Throwback Thursday – Graceland!